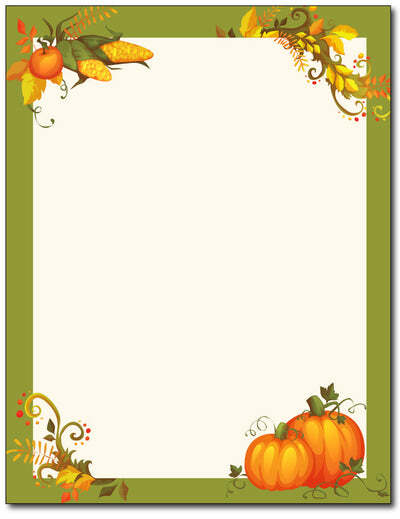 Our Thanksgiving stationery is great for sending warm messages or announcements during the holiday season! This Thanksgiving letterhead paper measures 8 1/2" x 11" and is made from a 28lb Bond stationery paper stock. Inkjet & Laser printer compatible. Acid and lignen free.